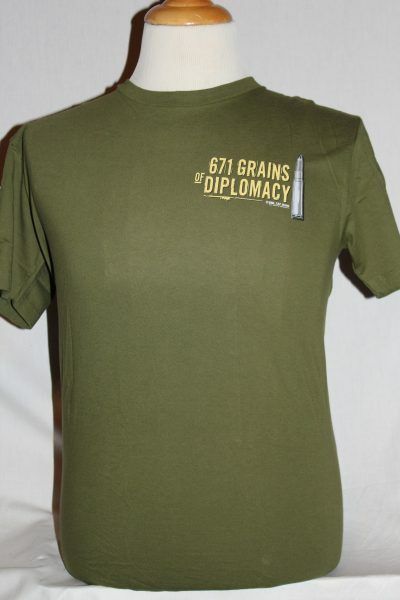 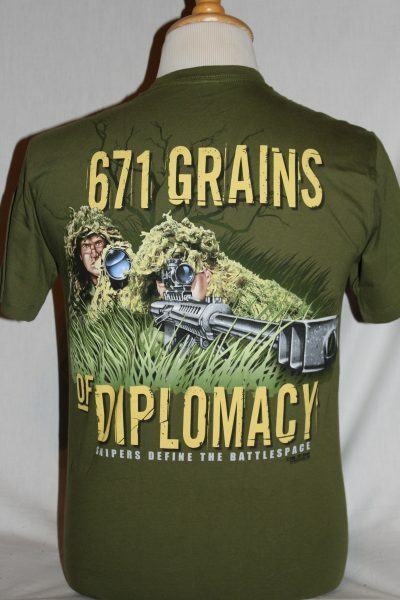 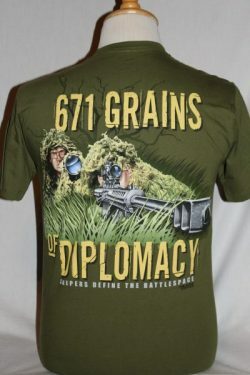 The 671 Grains Of Diplomacy T-Shirt shirt is a two sided print in green. 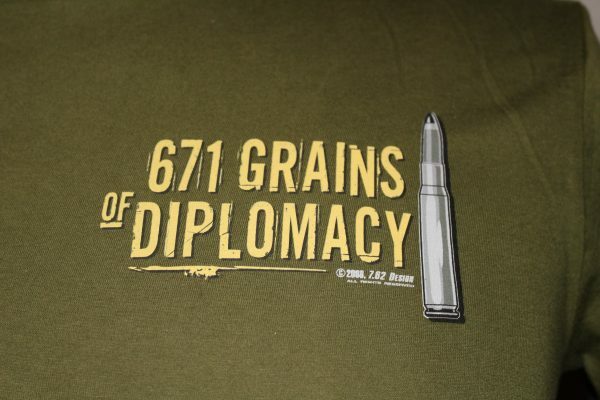 Front Design: Left chest text and fifty caliber bullet. 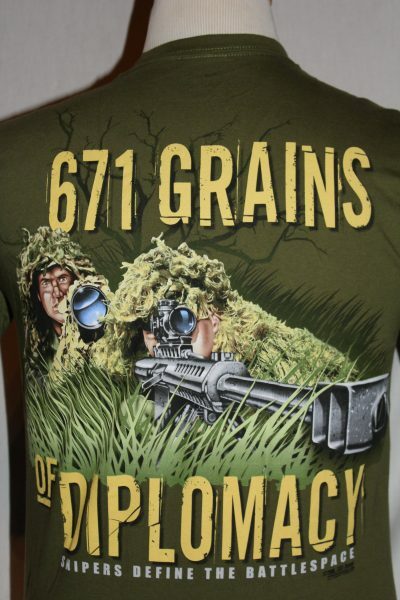 Back Design: Sniper team with a Barrett light fifty, and text.